The Information Technology (IT) industry encompasses many different sectors, all of which receive make-overs on a frequent basis because of the constantly evolving nature of the industry and resulting new discoveries. While many IT trends change quickly, there are some trends that are sticking and expanding into bigger ideas for future technologies. Some of the most notable trends include: mobile diversity, software-defined networking, smart machines, 3-D printing, the internet of everything, and cloud computing. Organizations everywhere are embracing the idea of technology being everywhere in the business. The rising acceptance of mobile devices at work has pushed the use of BYOD, or bring your own device, which is increasing the size of mobile employees. According to a study by market research publisher MarketsandMarkets, organizations are hiring more self-governing professionals, remote workers, and contracting associates. Acceptance is just the beginning; mobile diversity is still in the growth phase, and in the future more additions of mobile devices in the market is going to lead to companies outlining clear objectives and policies for these new additions to their workforce. Traditional networking controlled by physical hardware is dying out as Software-Defined Networking (SDN) moves in and allows networking to be managed by software applications. As stated in a report by MarketsandMarkets, virtualization and increased use of data centers increases “network complexity, network automation demands, and network transfer rates issue with big data and High-Performance Computing.” As many software companies move in to control this aspect of the industry, those who are able to keep costs low and offer consolidation efficiency will lead this sector. The introduction of smart machines through videos and slow releases of products is driving consumer desire, as well as posting a competitive challenge for companies to create the best machines for the future. 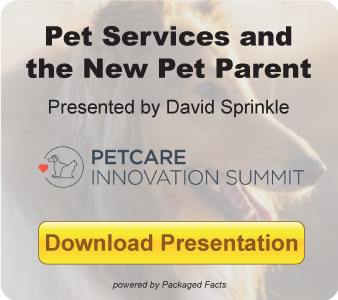 Products from smart TVs to autonomous vehicles and even artificial intelligence systems are emerging, and technologies are becoming capable of actions that were once never thought possible. Basic smart machines, such as the smart TV, are already in high demand, with the gesture recognition smart TV market expected to reach $479.88 million by 2018. Consumer demand is going to propel smart machines to the top of the IT industry as organizations invest and push their own smart machine innovations in the future. Large organizations with cutting edge technologies are no longer going to be the only purchasers of 3-D printers. The 3-D printer is going to be available to anyone who can afford it. Because of this upcoming availability, basic materials, such as plastics, are already in high demand and are expected to stay that way for the next five years. Other materials are also starting to gain increased demand, including metals and ceramics. 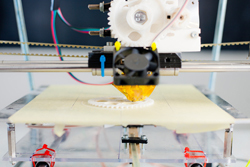 3-D printers and printer materials are expected to grow at a higher rate in the North American and Asia Pacific markets. 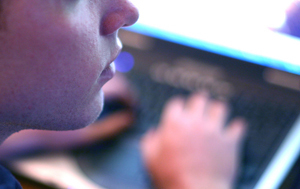 The internet is no longer limited to just our computers and mobile devices. The internet is being incorporated into consumer goods (TVs and cars), transportation, energy and power, telecom and IT, as well as industrial and commercial buildings. This is continuing the push for everything to be connected via the internet. Although this idea is not new, lately, more and more goods are becoming connected, both online and machine-to-machine. There are two futures for the internet of everything: 1) everything is going to eventually learn to share resources and take advantage of other’s data; and 2) companies are going to need to focus on organization and operation in order to be prepared for the possibilities that might arise from this level of connectivity. Cloud computing is gaining popularity with everyone, both consumers and organizations. Personal cloud computing is growing as a result of the use of multiple mobile devices; important information is no longer just saved on our PCs. Having all of our personal data accessible on all devices with promise of security and easy integration is opening new opportunities for data companies. On the other side, demand for cloud databases is increasing as industries collect huge amounts of data, currently seen across numerous industries, including: government agencies, financial and professional services, academic sector, healthcare and life science industry, media and entertainment, telecom, and manufacturing. As cloud computing companies evolve their strategies on cost and policies, they will see increased usage of their cloud computing options. As technology continues to change and new innovations for IT develop, we will see trends result to fit the needs of the consumer. We live in a technology-driven world, which continues to allow these cutting-edge advancements to be easily accessible. This, in turn, has made the IT industry one that most organizations want to be a part of so they, too, can have a piece of the pie. 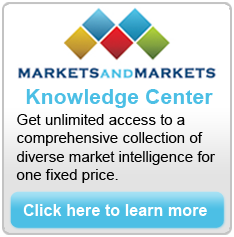 If you are heavily involved in the information technology market, check out our new MarketsandMarkets Knowledge Center, providing your company with unlimited access to a vast library of industry insights from MarketsandMarkets for one cost.